Brave New Worlds: What is Socially Responsible Travel? People from developing countries who holiday in the more underprivileged parts of the world sometimes encounter a pang of conscience. They may wonder if there is not something exploitative or shallow in what they are doing. It is surely this growing awareness of other cultures and a certain bad conscience in developed countries which has led to such a rise in alternative forms of tourism; to volunteering-abroad tours and so called socially responsible travel. More than ever before, people want to immerse themselves in unknown places but not hopefully at the expense of the region they are visiting. People seek not superficial experiences but experiences which will change them. Work experience and life experience which will help them foster and engage new perspectives. The opportunities are diverse. All over the world there are worthy projects in need of willing labor. 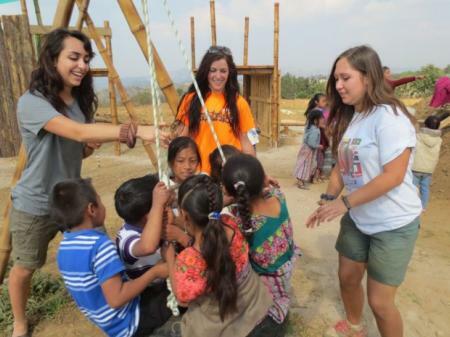 Why not travel to Guatemala and work on Project Somos. This ambitious project aims to construct a village for orphaned and abandoned children. A focus of the Vancouver based NGO, Compassionfruit Society, Project Somos has taken three years of fundraising to initiate. The land for the village has been acquired now and construction has begun. A huge undertaking, the village will consist of seven buildings. Altogether it will provide homes for seven mothers and forty-nine children. The village will be eco-sustainable and energy self-sufficient. 28% of the tour cost will go directly into materials and labor. Surely this is an example of socially responsible travel! 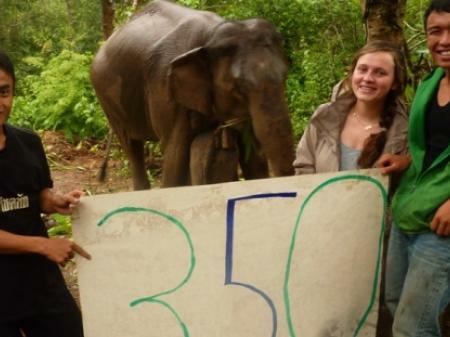 Help Freed Elephants in Thailand! Northern Thailand has fabulous mountains and forests which are home to elephants. You will work with specimens that have been rescued from tourist camps where they have been overworked and badly treated. It is instructive as a tourist to see the dark side of tourism and to contribute something necessary towards alleviating the sometimes exploitive aspects of the trade. You will spend your days with these magnificent animals, interacting and learning how to read their manner and behavior. You will assist in health checks and other duties which are crucial to the forest reintroduction program. Socially responsible travel is about giving something back and living by example. This is not a luxury tour. It is on the ground. You won’t be staying in a plush hotel. You should expect accommodation to be basic and within a traditional rural community. Is there a socially responsible way of holidaying on a private island in Belize. As it turns out there may be. Here the addition of a non-indigenous species has lead to the destabilizing of an ecosystem. 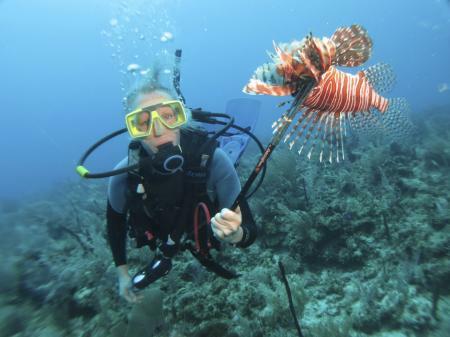 Your mission in Belize will be to remove Lionfish from these pristine waters. Lionfish breed rapidly and consume juvenile groupers, parrotfish and crustaceans which are essential to the local environment. Your duties will involve a good deal of diving, but tailored to your ability. The Caribbean is one of the most beautiful places to dive because of its high visibility range and low currents. For some this will be of scientific/ ecological interest, for some it will be an adventure holiday but in either case the participants will be doing a duty of service of the locality that they’re visiting. If there is a running theme behind socially responsible travel, it is the idea that you should not condescend to the regions who are visiting. You will come into contact with great poverty on your travels, much of which you will be powerless to do anything about. But you must demonstrate some humility and respect which in itself is worth something. All of the tours mentioned are available though Holidays for Humanity. Click here to learn more about volunteering opportunities abroad.